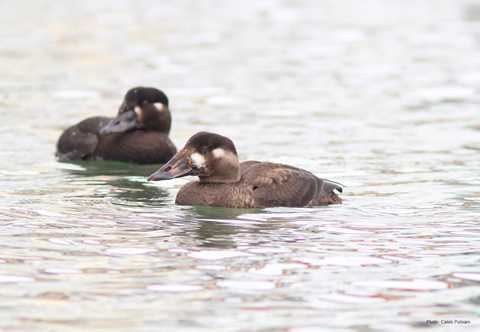 Average length: M 19.7", F 18.5"
Average weight: M 2.2 lbs., F 2.0 lbs. 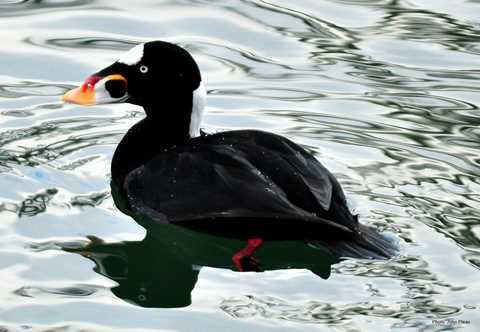 Western surf scoters molt along the coast of British Columbia and Alaska, and in the Bering Sea. 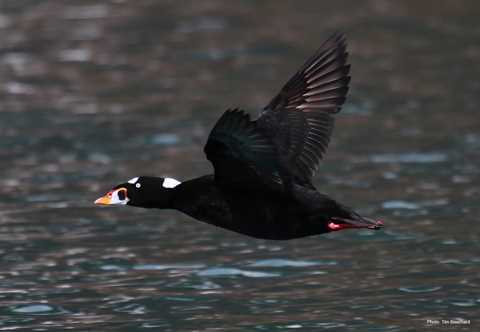 Eastern surf scoters molt along the Labrador coast, in the St. Lawrence estuary, and along the eastern coast of Hudson Bay. 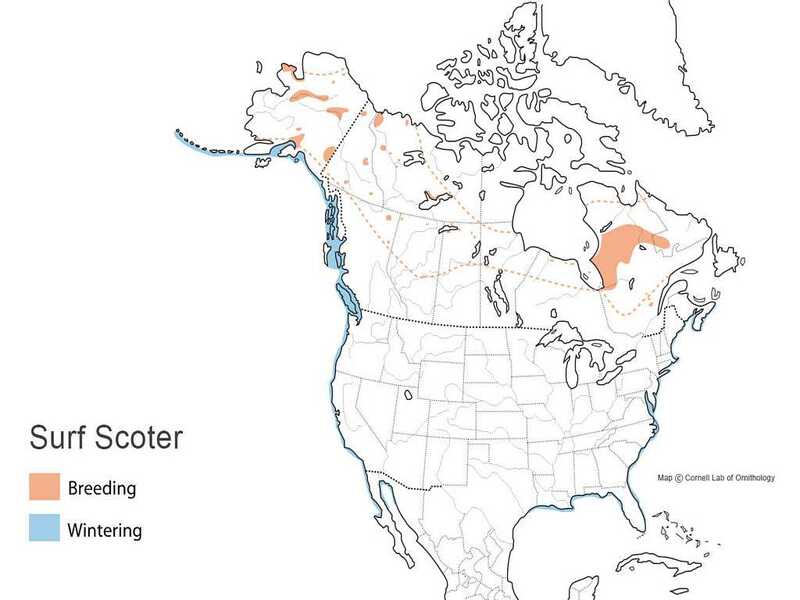 During migration, they use coastal estuaries, inshore ocean areas and occasionally freshwater habitats near the coast. 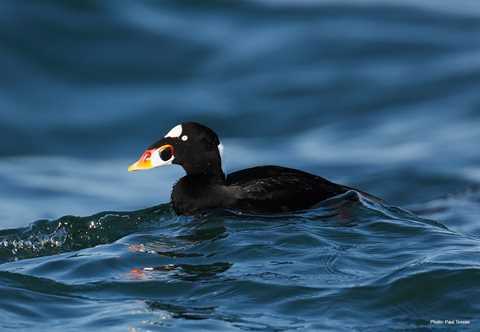 They winter in shallow marine coastal waters along coastal North America and south to the northern Gulf of Mexico coast.